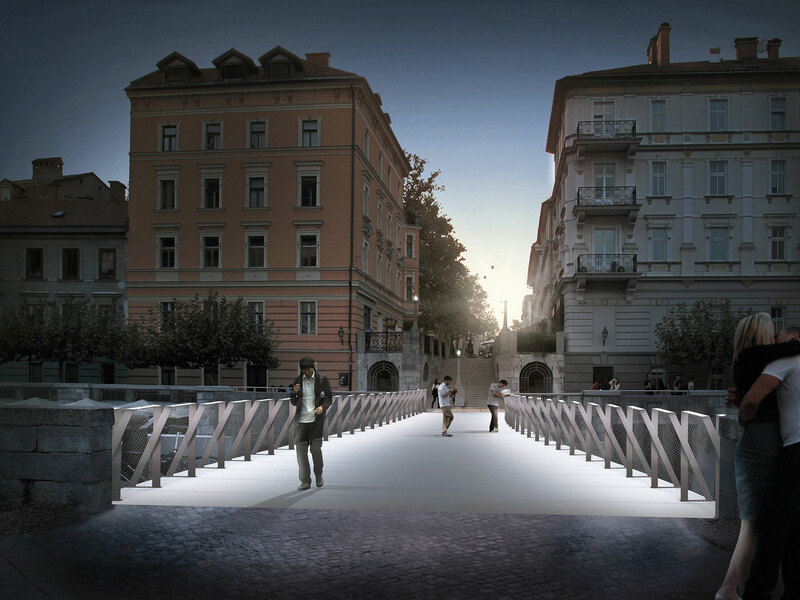 For the contest, an architectural solution was designed to placement of a pedestrian bridge over the Ljubljanica between Ribji trg and Gerberjevo stopnišče in the direct vicinity of the Prešernov trg square, where Plečnik’s architecture is strongly present. 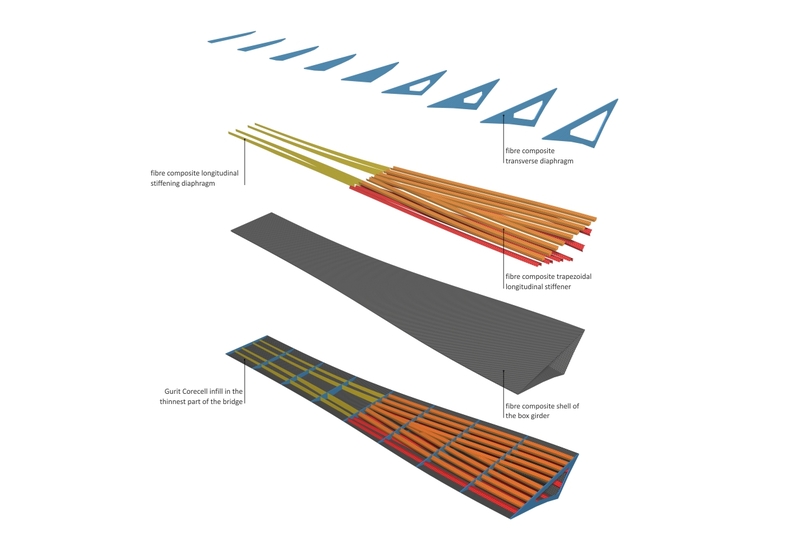 The concept included modern composite materials from glass, carbon and other fibres, the use of which allowed only minimum interventions into the existing veduta. 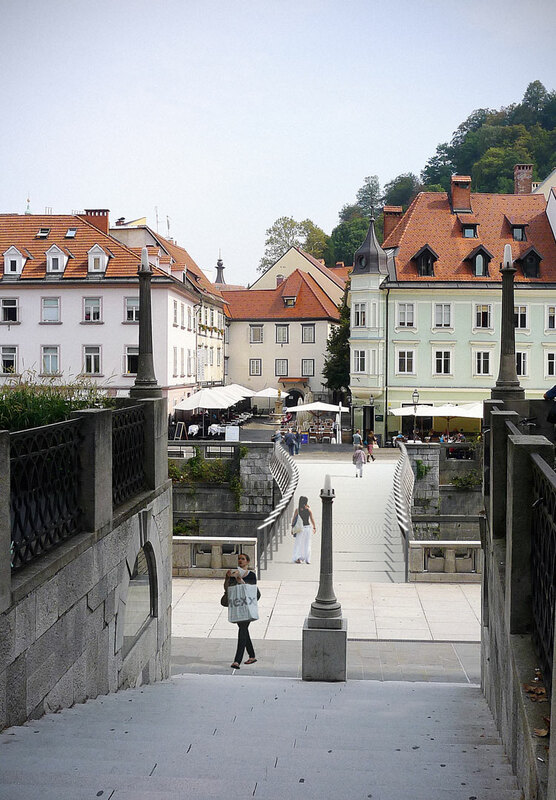 The pedestrian bridge is almost invisible from the Prešernov trg and the Šuštarski most bridge, while it offers, as a modern viewpoint, to a pedestrian new sights of the architecture of the embankments. 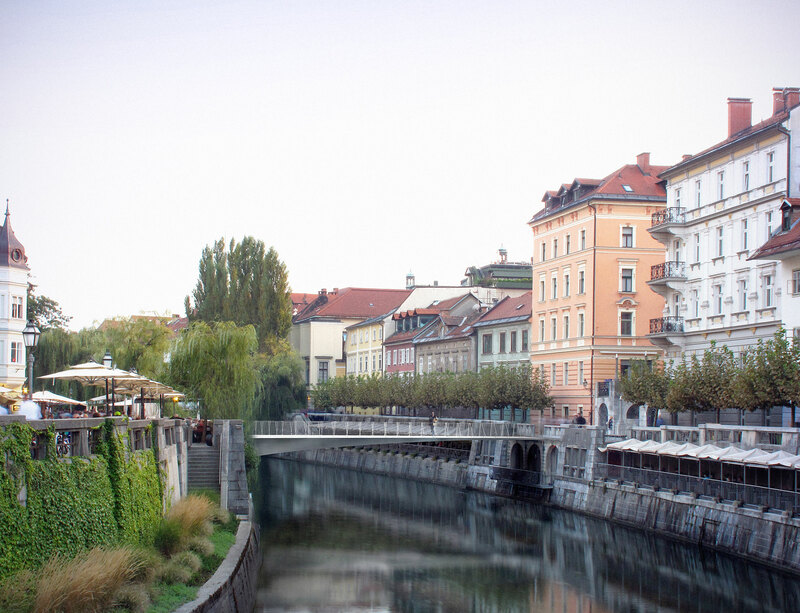 Due to its individual fastening points, the thinnest part of the support construction on the western bank of the Ljubljanica protects the Plečnik’s architecture and does not disturb the existing building. 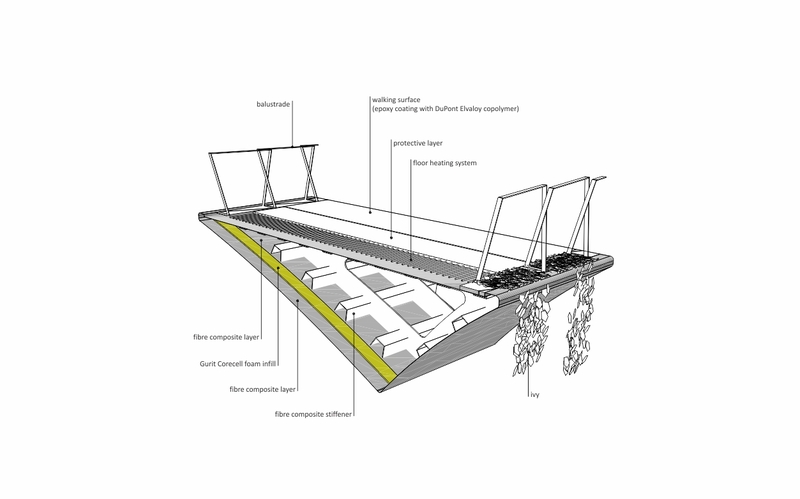 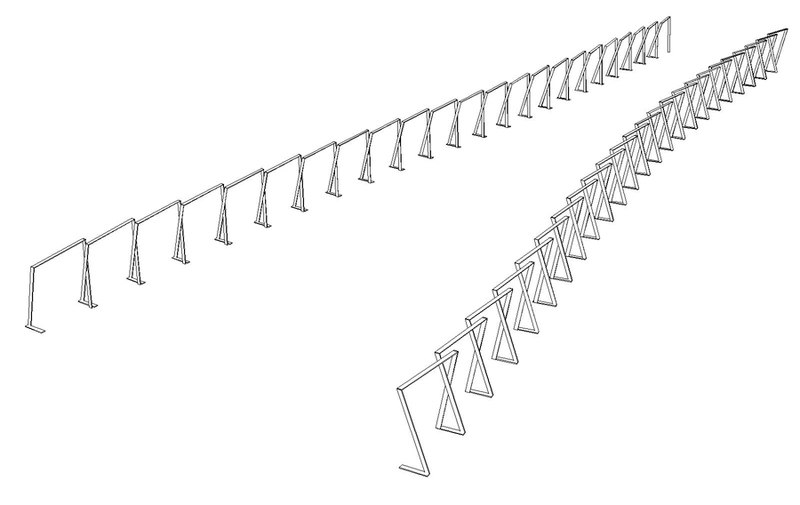 The pedestrian bridge could be made as a prefabricated element and could be arranged in one day. 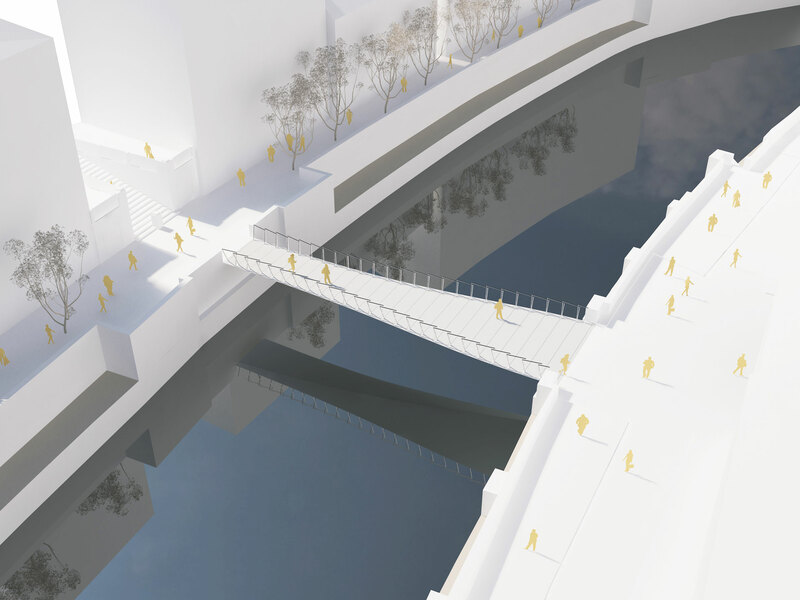 The suggested pedestrian bridge could be the first representative of high-tech bridges in this part of Europe thanks to its smart construction. 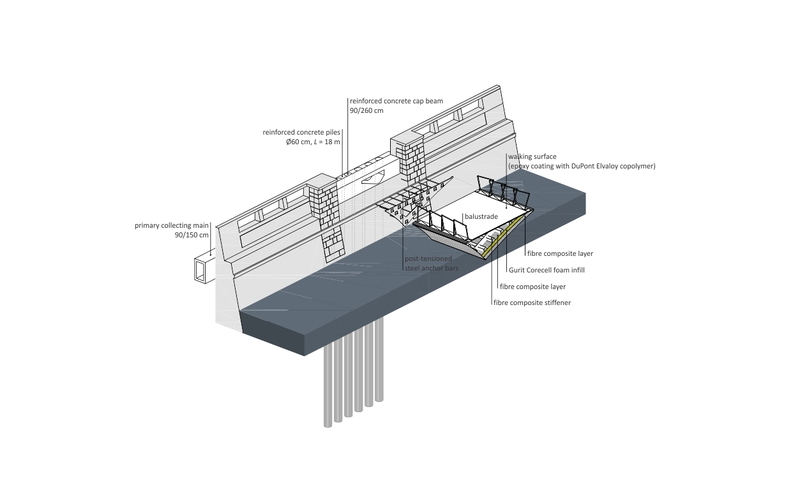 The pedestrian bridge could make online real-time recordings on its current load, on directions of pedestrians, and other parameters.